Starting from his backyard, Neal slowly and successfully grew Abby Lee Farm to three locations across Arizona. The Phoenix location, located just west of 7th avenue on baseline, sits on 4 acres covered with poly houses. This helps keep infrequent frost away, as well as the dreadful summer heat. The Willcox Greenhouse sits on 155 acres with a 1,000,000 Square foot greenhouse which consists of house plants, geraniums, and combo pots. This 1,000,000 Square Foot greenhouse is very high tech and has all of the bells and whistles needed for maximum production. Willcox, AZ has some of the best water in the state. “The Farm” in Safford Arizona sits on 763 acres. This is where the hay farm, 40 acres of Elderica Pines and 20 acres of fall mums and color production sits. The Farm also consists of a 100,000 Square Foot greenhouse. 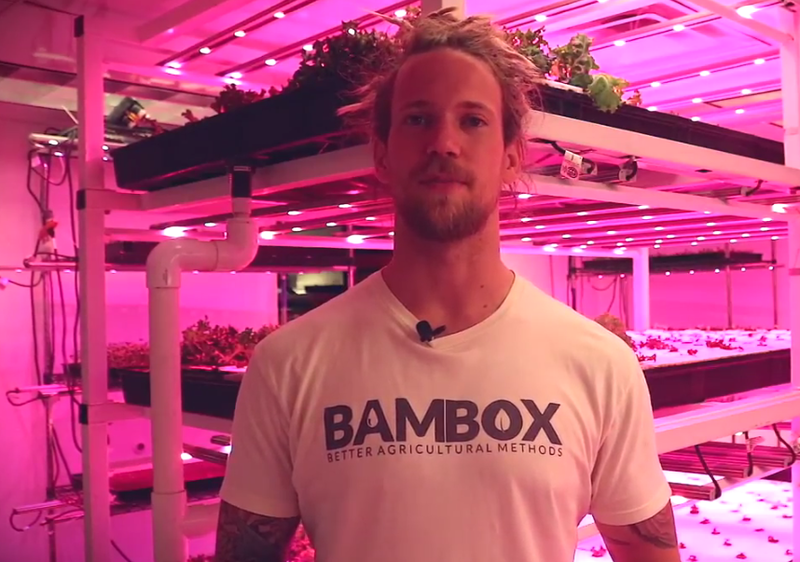 BAMBOX Produce is on a mission to revolutionize the food system through better agricultural methods. Their vision is an urban microfarm in every city delivering food directly to those who enjoy it. Maximizing nutrition per square foot of urban farm is what they're are all about. They grow only the most nutrient dense crops available within controlled environments that actively contribute to the overall wellness of the harvest. Conserving our Earth's precious resources is the third pillar of the BAMBOX philosophy. They use 95% less water than traditional agriculture, offset the use of pesticides in the environment, help deter dead-zones in the ocean, reduce food waste, and contribute to the rebuilding of topsoil by composting on site. Blue Sky Organic Farms is a family farm located in Litchfield, AZ. They have been farming in sunny Arizona since 1995. They grow 100% of the produce they offer and are extremely proud to be Certified Organic. When you purchase from Blue Sky Organic Farms, you can rest assured that our produce, as well as our nest run eggs have been produced with your health in mind. Blue Sky Organic Farm uses organic, non-gmo, and untreated seed. Their produce is cultivated in accordance to the federal standards set by the USDA National Organic Program. They are certified by California Certified Organic Farmers (CCOF).